Editor’s note: UNCW baseball opens the 2019 season on Friday against Saint Joseph’s. The Seahawks are fresh off their second Colonial Athletic Association championship in three years and seek their sixth conference title in program history. In anticipation of this season, The Seahawk is diving into different storylines to follow over the next few months. 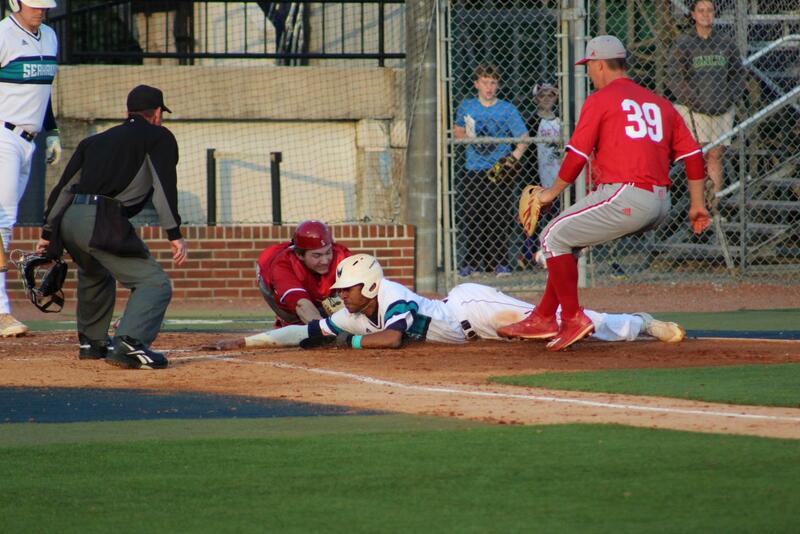 Fresh off its fifth Colonial Athletic Association title in school history, UNC Wilmington baseball looks to defend its crown with the help of its speedy shortstop who is used to having the spotlight on him. Sophomore Greg Jones enjoyed a breakout freshman year last season as one of the top players in the CAA. Jones appeared in all but two of the Seahawks’ 62 games last year and tied for fifth in the conference with 16 stolen bases on his way to being named to the CAA All-Rookie team. That maturity was on full display during both the CAA tournament and postseason in which Jones played his best baseball. He finished the CAA tournament with a team-high .476 batting average. Jones will shoulder more of the offensive burden this year following the loss of the Seahawk’s top-two hit leaders Mason Berne and Ryan Jeffers. Jones’ 45-hits are the most of any returning Seahawk, but he does not feel any added pressure to replace those graduated or drafted bats. How this season plays out for Jones and the Seahawks can influence his life come summer when Jones will once again be eligible for the MLB Draft. He was considered a top 100 draft prospect in 2017 out of Cary High School by many draft outlets: no. 65 on ESPN’s Keith Law’s Big Board and no. 84 on MLB Pipeline. However, Jones fell in the draft due to signability concerns despite teams like the Baltimore Orioles showing interest early in the draft. Ultimately, the Orioles selected Jones in the 17th round, but he decided to honor his commitment to UNCW. That insight and experience should serve Jones and the Seahawks well in the 2019 season as the shortstop looks to both simplify his game and become a leader for the younger players.